After a short stopover in La Union, we continued our way to Vigan City, Ilocos Sur, the original destination of our road trip. 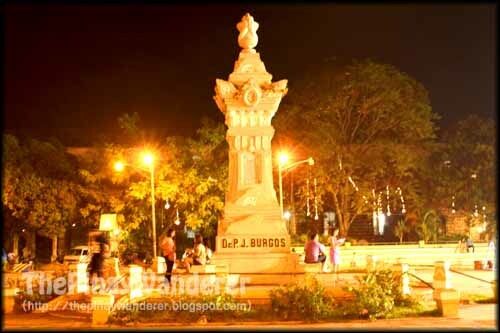 Vigan City is about 400 kilometers away from Manila, depending on traffic situation, around 8-9 hours drive via NLEX (North Luzon Expressway) and SCTEX (Subic-Clark-Tarlac Expressway). 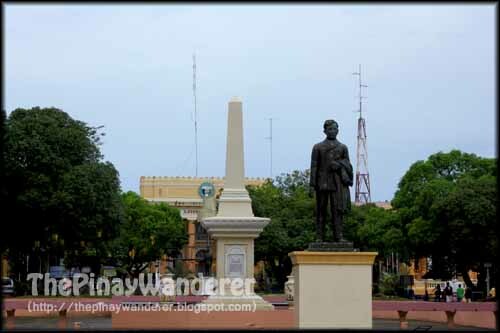 It is located on the west coast of Northern Luzon and is the seat of provincial government of Ilocos Sur. Vigan City is famous for its Heritage Village, a tourist destination where ancestral houses and other structures built during the Spanish era can be found. Heritage Village was included in the UNESCO list of World Heritage Site for these well-preserved ancestral houses and other historical and religious structures. 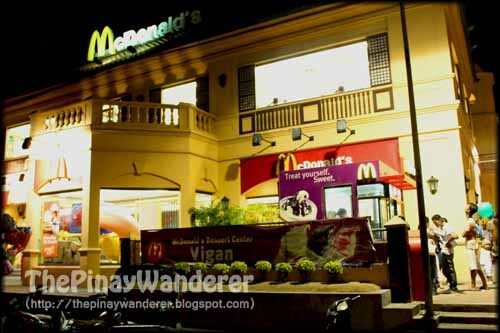 It was already evening when we reached Vigan City. We walked around the Heritage Village, along Calle Crisologo and nearby streets, admiring the vintage houses that they turned into tourist attractions, taking photographs here and there. Done with sightseeing and capturing images, we then had our dinner in one of the stalls (turo-turo style) near the Plaza Burgos. We ordered rice, pork caldereta and of course, the Ilocos pride, sinanglaw, a beef soup of innards and skin. I am not fond of innards so I just had a spoon of its soup to taste. Sinanglaw for me is like the Tagalog's nilagang baka, only that instead of beef meat, innards were used and no vegetables were added. 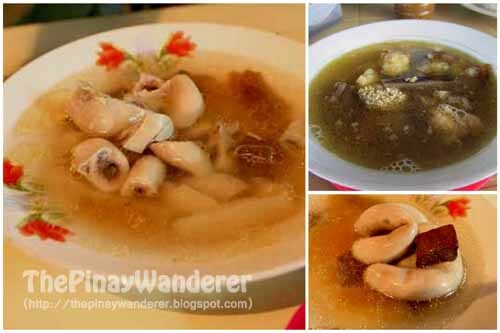 A papaitan sauce is used to add a bitter taste to this soup and when I asked what's the papaitan sauce made of, my friend just said, 'don't ask, just eat', and that's when I said, 'I think I'll just pass', hahaha! Out of exhaustion, we woke up late the next morning. Breakfast would only be served until 9am so we go down in a hurry to avail of the free breakfast (room rate includes complementary breakfast). After the breakfast, we then attended the mass at the nearby church, the St. Paul Cathedral. 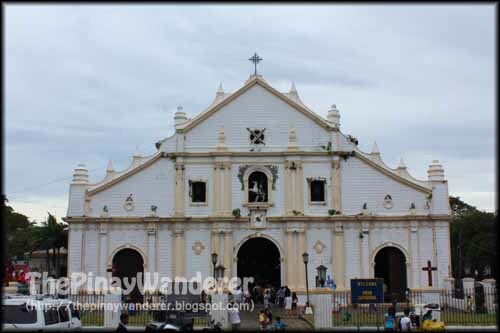 St. Paul Cathedral is considered as the major religious landmark not only in Northern Luzon but throughout the country as well, as it has been the center of Roman Catholic devotion for centuries (source: http://www.vigan.ph/). After which, I again took some photos, this time of the church and the Plaza Salcedo across the church. Before heading back to the hotel to prepare ourselves for the long journey back home, we first had our snack at the Vigan Empanadaan, a row of stalls along the street beside the Plaza Burgos that sell Vigan empanada. Vigan empanada is a delicious snack made of sauteed cabbage, papaya and other vegetables with egg and Vigan longganisa stuffed in a crispy taco-like shell. It's so yummy we had two orders each of this empanada...nagtakaw eh, hehe! I haven't tried sinanglaw but yung empanada natikman ko. 2 klase yung natikman ko yung isa sweet yung longganisa na nilagay yung isa naman e salty. 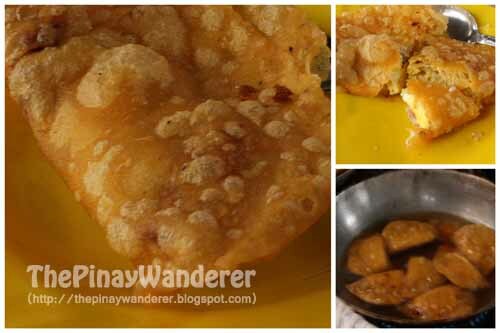 I miss Vigan empanada na! ganda ng calle crisologo sa gabi! do you mind if we exchange links? wow, seemed you have a great time in Vigan! Hi Jr! Ok lang solo trip sa Vigan, no need for a guide. Ang nakakatakot eh un mga ancestral houses kung mag-isa ka lang matutulog, if you're easily scared just like me, kelangan mo ng kasama...hehe. This is one place that I so like to visit someday. Di ba dito ang may masarap na longanisa? Trip kong puntahan ang Vigan, buti nalang namention mo sa reply mo kay Mr. Jr na "Ok lang solo trip sa Vigan.. Ang nakakatakot eh un mga ancestral houses kung mag-isa ka lang matutulog.." Hmm nagkainteres ako bigla. napapaisip ako, diba't ilang beses ko na din silang nakamustahan before, why pa ako matatakot?! Hehe mula Vigan daanan ko na din ang Baguio para mailathala ko ang aking November horror issue, lels! 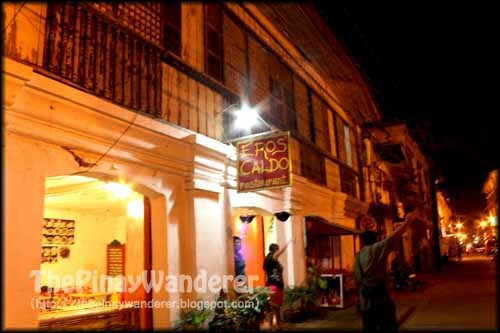 Aww, am afraid of ghosts kaya kahit gusto ko try solo trip, nde ko pa nagagawa, buti na lang may mga kasama ko dito sa Vigan. San sa Baguio ka nagkaron ng encounter para maiwasan? ehehe! I love the streets of Vigan! It's been ages since the last time I've been there. I miss Vigan. Hope we'll be able to visit that place before the year ends! I've been to Vigan and Loag over 5 years ago. It was a very memorable experience.